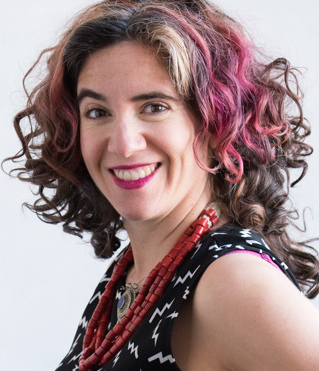 Dana Edell, Theater | Mayapple Center for the Arts and Humanities, Inc.
Dana Edell, MFA, PhD is an activist-scholar-artist-educator who has created and run three different girls’ organizations since 1998 focusing on arts and activism. She runs SPARK Movement, an intergenerational and antiracist, feminist activist organization that trains and supports girls and their allies to launch global and local action campaigns. She has produced and directed more than 70 original shows and 7 full length albums of music written and performed by teenage girls about social justice issues including performances at the United Nations, in theaters throughout New York City, in prisons, community centers, schools and public site-specific spaces. She teaches Applied Theatre and Theatre & Activism at NYU and CUNY. Through her writing, presentations and media appearances, she advocates for the need for collaborative and activist performing arts experiences for girls. She has an MFA in Theatre Directing from Columbia and a PhD in Performing Arts & Education from NYU.